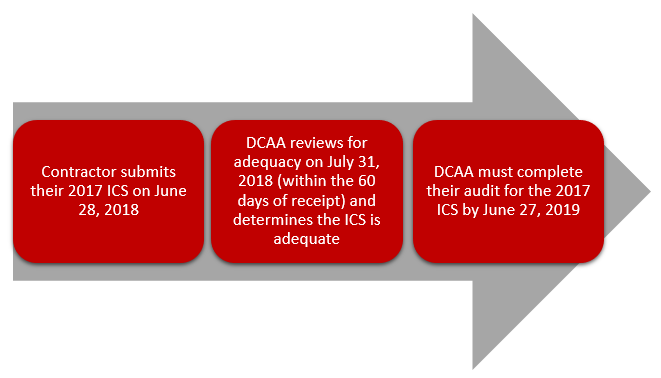 DCAA’s Letter of Memorandum for Regional Directors (MRD) issued on January 29, 2018, discusses how DCAA will be required to review submitted Incurred Cost Submissions (ICS) for adequacy within 60 days of receipt. This new guidance was enacted per the 2018 National Defense Authorization Act (NDAA) and is effective December 12, 2017. Clearly, this cannot be accomplished by DCAA auditors alone and per the NDAA under Section 803 – Performance of Incurred Cost Audits, private auditors will be contracted out to help audit the submissions. This sounds like great news, contractors will be able to have final rates within a year. Which means you can invoice for interim rate variances sooner than in the past or submit your final invoices. If you are a Prime contractor you will need to do the same and have final rates established for your subs in a timely fashion. The bad news is that some of these private firms performing the audits are not well versed in government contracting and the purpose of the schedules. Let’s see if this ends up as a good thing or a bad thing for contractors? Time will tell. If you have questions or need assistance to prepare your ICS or support you during an ICS audit, please contact our ICS specialists at 301.231.6200.